An extraordinary ghost story from a modern master, published just in time for Halloween. In the apartment of Oliver's old professor at Cambridge, there is a painting on the wall, a mysterious depiction of masked revelers at the Venice carnival. On this cold winter's night, the old professor has decided to reveal the painting's eerie secret. The dark art of the Venetian scene, instead of imitating life, has the power to entrap it. To stare into the painting is to play dangerously with the unseen demons it hides, and become the victim of its macabre beauty. 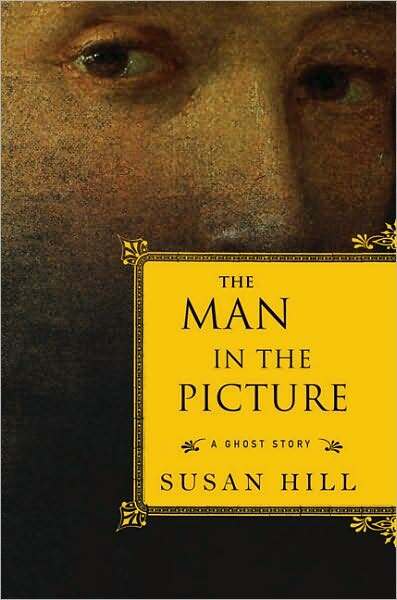 By the renowned storyteller Susan Hill--whose first ghost story, The Woman in Black, has run for eighteen years as a play in London's West End--here is a new take on a form that is fully classical and, in Hill's able hands, newly vital. The Man in the Picture is a haunting tale of loss, love, and the very basest fear of our beings. Heather chose it for me for the Reading Swap, but I also have always meant to try Susan Hill. Summarize the plot, but don’t give away the ending! This is the story of a man that collects art. While at an auction he brings home a very drab painting, but there was something about it that really caught his eye. When he goes to buy it, he finds that there is a mystery surrounding the painting and then eventually learns that there is more to the painting than a nice picture to hang on the wall. He is a teacher near the end of his life, but he chooses to tell one of his past pupils the entire story and we get to hear it, too. It opens up a very atmospheric story and some strange turns of events. It was a different story than what I was used to reading. I really liked the creativity of the story, but I find it hard to say why without giving too much away... It is one of those books that you need to experience everything to really appreciate it. I thought it was too short, so things were rushed a bit. I would have liked a long novel to develop all the idea entirely and tell all the stories. Have you read any other books by this author? What did you think of those books? No, this is my first time, but I will probably try her again. I think the best thing to say is that while I found the story itself original and gripping, I didn't find the characters stood out as anything special. They were part of the story and were necessary for how things played out, but ultimately I think the painting was the main character. It has a part in the entire story and the whole idea of it is why I finished the book. What did you think about the cover? I think the cover fits. I am not sure if I love it, but it adds to the mystery surrounding the story. This book counts for the Great Reading Swap of 2011. How fun to be introduced to an author in a reading swap! This sounds like an interesting book, I'm glad you enjoyed it. I read her book The Woman in Black a while back but I don't remember too much about it. This sounds like a good ghost story, even if it was a bit too short. I loved her book The Woman in Black. It was memorable for me! Maybe try it next? I want to read this one. I've read some of Susan Hill's recent Simon Serrailler series and enjoyed them a lot. I also read one of her earlier ghost stories (The Woman in Black) and loved the moody atmosphere of it. This one intrigues me but maybe for a fall seasonal read. *Heather: Thanks for suggesting I read it! *Suzi: I need to read more from her. I have seen her around the blogs for years and this is my first time.